Trump’s budget director says Meals on Wheels doesn't work. 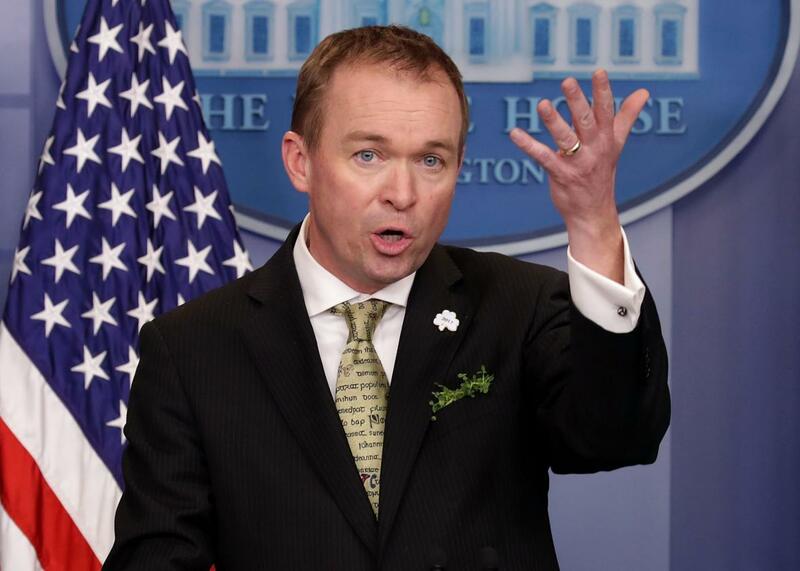 White House budget director Mick Mulvaney held a press conference Thursday afternoon to defend the administration’s new spending blueprint, which has been criticized for making draconian cuts to everything from environmental protection to aid for the elder poor, all in order to direct more funding to the Defense Department. There’s been a particularly furious reaction to its request that Congress eliminate funding for the Community Development Block Grant program, which many states use to fund Meals on Wheels, among other popular initiatives. After a reporter brought up the Meals on Wheels controversy, Mulvaney at first tried to subtly evade the question. But then, as is the wont of this administration, he fell head over glutes explaining that while Meals on Wheels “sounds great,” the administration couldn’t keep wasting money on programs like it that “don’t work.” As in, feeding the elderly apparently isn’t showing strong enough empirical benefits to merit continued federal spending by this White House, which is now deeply wedded to evidence-based policymaking. Mulvaney: As you know, or I think you know, Meals on Wheels is not a federal program. It’s part of that community, the CDBGs, the block grants that we give to the states. And many states have made the decision to use that money on Meals on Wheels. Here’s what I can tell you about CBDGs—because that’s what we fund, right? Is that we’ve spent $150 billion on those programs since the 1970s. The CDBGs have been identified as programs since the first, actually the second Bush administration, as ones that just were not showing any results. We can’t do that anymore. We can’t spend money on programs just because they sound good. Meals on wheels sounds great. That’s a state decision to fund that particular portion, to take the federal money and give it to the states and say, look, we to want give you money for programs that don’t work. I can’t defend that anymore. We cannot defend that anymore. I can’t defend that anymore. We cannot defend that anymore. We’re $20 trillion in debt. We’re going to spend money, we’re going to spend a lot of money but we’re not going to spend it on programs that show they deliver the promises we made to people. As the Washington Post’s Christopher Ingraham notes, research does in fact suggest that Meals on Wheels is pretty effective at its goal of, you know, feeding people. When those hungry seniors would like to know where their meals went, I look forward to Mulvaney showing them a picture of Trump’s big, beautiful border wall with Mexico.